1. Why do I need an air conditioner? People buy air conditioners for comfort. Air conditioners give you the ability to control the temperature in a room or office – leaving you feeling refreshed, more active and productive. 2. Can I afford an air conditioner? Air conditioners have generally been seen as unaffordable, luxury items. New suppliers entering the market and new technologies has left customers with enough options to suit their specific air conditioning needs, style and budget. The Brand – Through solid supplier relationships with suppliers, Airvent has room for constructive negotiation that ultimately benefits your pocket. 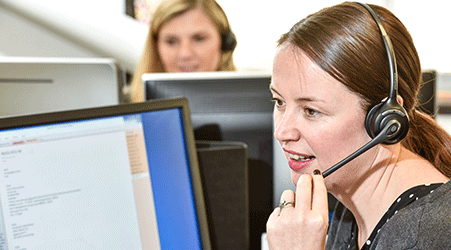 With expert advice and proper planning your can choose the unit right for you. Can you afford an air conditioner? Yes you can!!! 3. Which type of air conditioner do I need? Airvents’ team of trained professionals can assist you in identifying the unit that best suits your need. Air conditioners come in four main types: window units, through the wall units, portable units and whole house/central air units. You need a unit with the right capacity and functions to optimally control the temperature of your home or office. Console & Window/Wall units Ideal for small rooms, apartments or offices with no wall space to mount an air conditioner. The air conditioner is generally mounted through a window. Mid Wall Split units Ideal for single rooms or offices with ample wall space to mount an air conditioner. Under Ceiling units Ideal for large rooms or offices with limited wall and ceiling space for an air conditioner. The air conditioner is mounted under the ceiling. Ceiling Cassettes units Ideal for large open areas (e.g. retail stores, restaurants and offices) with ample ceiling space. The air conditioner is mounted in the ceiling. Hide Away units Ideal when one air conditioning units is used to cool/ heat multiple rooms or offices. The unit is installed in the ceiling with ducting channeling air into separate rooms. Multi Mode units Ideal when multi rooms or offices have to be air conditioned. One condenser (outdoor unit) is connected to multi indoor units. 4. Can I save money and install my own air conditioner? It is advised that the installation is done by an expert professional. Trusting Airvent for a professional installation will save you money in the long run, add value to your home and leave you completely satisfied. 5. What about maintenance and maintenance costs? 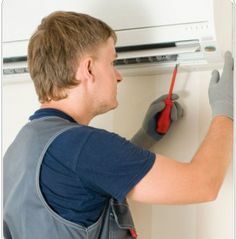 The general maintenance and costs thereof are very much dependant on how well you look after your air conditioning unit. 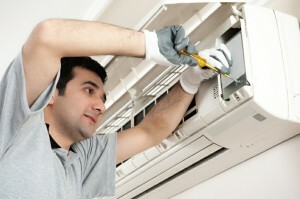 Air conditioner problems are easily avoided by doing some simple maintenance. Keep the filter and coils clean or replace them as recommended by the manufacturer. Add years to your air conditioners’ life span by using an authorised dealer for major and minor services. 6. Which special features and benefits should I look for in an air conditioner? Airvent Central Plant Solutions focuses on the installation and maintenance of commercial and industrial chilled water central plant systems, ranging from an individual unit in an office to multi-storey office block or shopping centre. Airvent Central Plant Solutions employ their own service teams, who are highly experienced HVAC (heating, ventilation and air conditioning) specialists.